Do you want to make Crossword Puzzles? Convert word searches into crossword puzzles. Create professional crosswords in as little as 5 minutes. Print crosswords or save them as PDF documents and email them to friends. 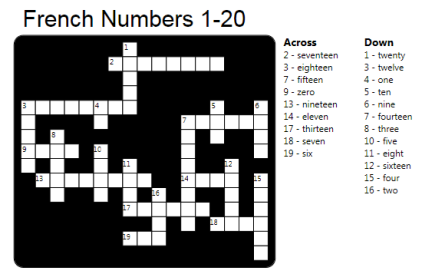 Crossword puzzles help students learn vocabulary words and review for tests. Plus, you save time because they are easy to grade. A crossword created with Super Crossword Creator. Want to learn more about making crosswords? Also print solutions for easy grading.